Michael Phelps is used to gold—considering he's scored 23 gold medals in his lifetime, with 3 silver and 2 bronze medals, too. 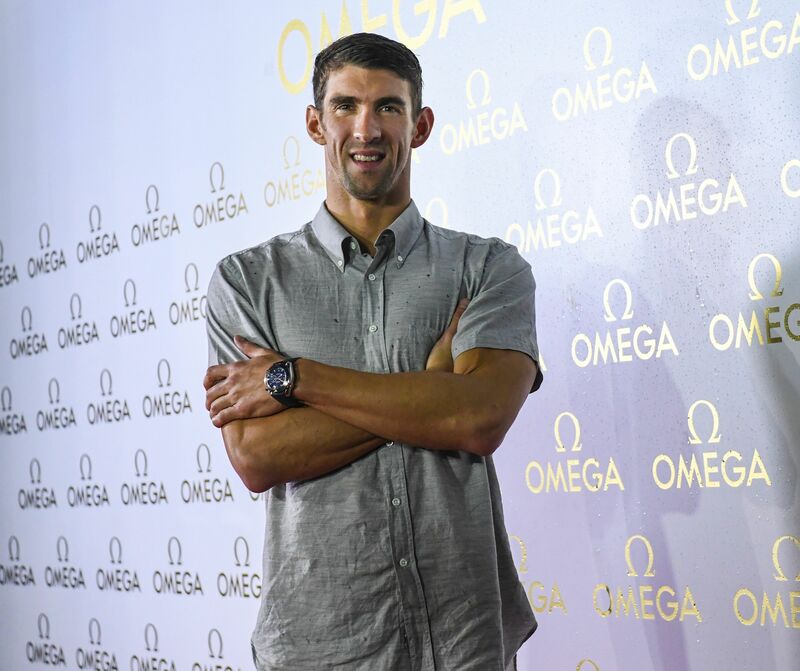 And though news broke that his would be his last Olympics in his swimming career, Michael Phelps wasn't the Rio Closing Ceremony either, so I guess we'll just have to say goodbye in our own hearts! Though, we can't be mad—he's probably at home celebrating with his super cute baby! Phelps has got a few looks in his arsenal: A sharp suit and loafers for more formal events (and even a guide for how to wear suits when you're built like a super athlete), jeans and a tee in his everyday life, and of course, the Olympic jackets we always see him wearing for Team USA. Let's also not forget his favorite accessory: his gold medals, of course. While I was super excited to see what kind of ensemble (or basically, cool Jacket) Phelps would be wearing at the closing ceremony, he wasn't there this evening. He posted a photo on Instagram on Friday of his hands raised up with a caption explaining how much he'll be missing Rio now that he's home. Welp, we're totally bummed that he's not at the last Olympics Closing Ceremony he'll ever have, but hey, we've got to thank and appreciate him for all the years of killer swimming he's done for Team USA. But, Boomer Phelps (Michael Phelps' son) is apparently watching the closing ceremony in style. How adorable is he?? Clad in baby Underarmour and those plaid shorts! And apparently, he's got a deal with his dad. Let's get those followers! But for real—16 years. 16 years! That's almost two decades of Phelps leaving us in awe. Each time he stepped into a pool, it was pure magic. He may not have been at the Rio Closing Ceremony, but we're sure bidding him adieu in our hearts.